SKU: 610. 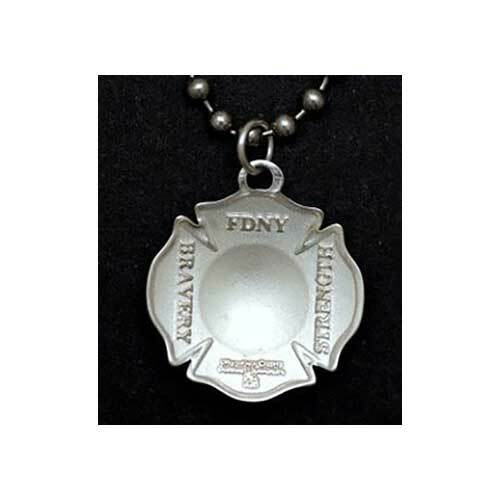 Category: FDNY Jewelry. Tags: FDNY pendant, Patron Saint of Firefighters, Saint Florian, sterling silver. The Saint Florian medal is made of beautiful hand polished Sterling Silver and hangs on a 24″ heavy stainless steel ball chain. Many miracles of healing are attributed to him. He is a protector in danger, from fire and is the Patron Saint of Firefighters. 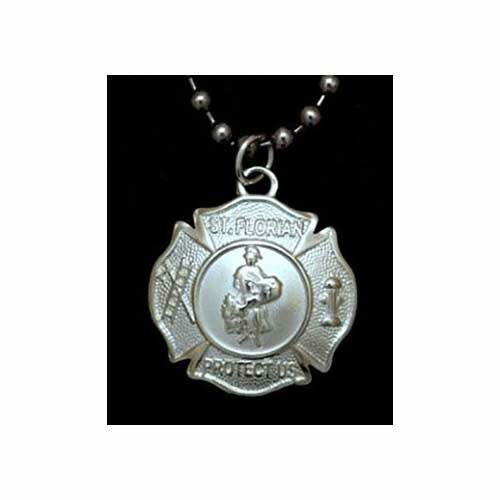 Hand polished Sterling Silver St. Florian medal. Front: Detailed image of St. Florian and the words: St. Florian…Protect Us. 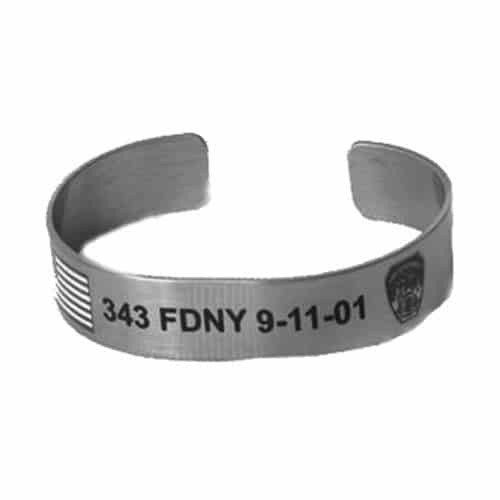 Back: Bravery – FDNY – Strength. Includes a 24″ heavy stainless steel ball chain. Packaged in a beautiful box ready for gifting!